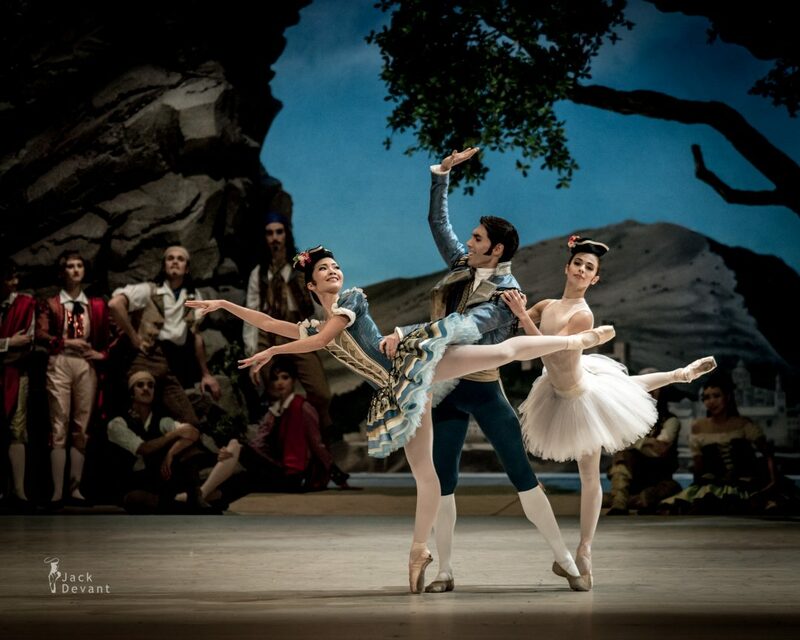 Katherina Markovskaya, Javier Amo and Mai Kono in pas de trois. Paquita, Ballet in two acts, choreography by Marius Petipa and Alexey Ratmansky. Music by Édouard Deldevez and Ludwig Minkus. Shot on 10.12.2014 in Bayerische Staatoper Munich, during main rehearsal. Conductor Myron Romanoul. Mai Kono is Soloist with Bayerisches Staatsballett. Mai was born in Japan, started her dance education at the Hitomi Kikuchi Ballet Studio, and completed it at the Heinz-Bosl-Stiftung in Munich. She was promoted to Soloist rank at the beginning of the season 2011/2012. Katherina Markowskaja is currently First Soloist with Bavarian State Ballet in Munich. She was born in Kiev, Ukraine where she completed her training at the National Ballet Academy of Arts. As a student, she was cast in performances of the National Ballet of Kiev. At the age of sixteen, she accepted a scholarship of the Heinz-Bosl-Foundation, offered to her by Konstanze Vernon. Ms. Markowskaja graduated from the Ballet-Academy Munich and subsequently joined the Saxon State Opera Ballet Dresden under artistic director Vladimir Derevianko. She was promoted to the rank of first soloist two years later. 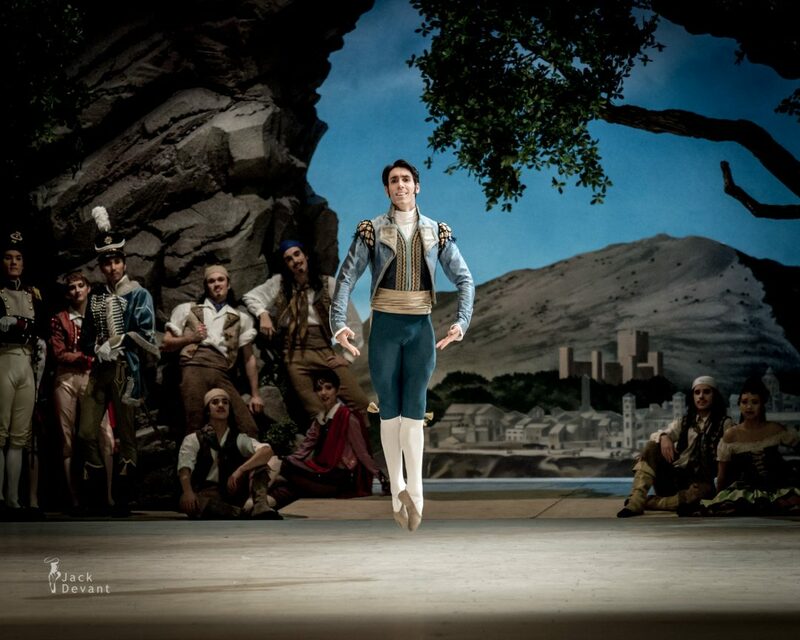 Javier Amo is Principal Dancer with Bayerisches Staatsballett (Bavarian State Ballet). He was born in Bilbao, started training at the Jon Beitia School in his home town and completed his dance education at the John-Cranko-School in Stuttgart. In 1999 he joined the Stuttgarter Ballet. Since autumn 2005 Javier Amo has been a corps de ballet member of the Bavarian State Ballet. He was promoted to Soloist at the beginning of the season 2007/2008 and to first Soloist in the season 2009/2010. 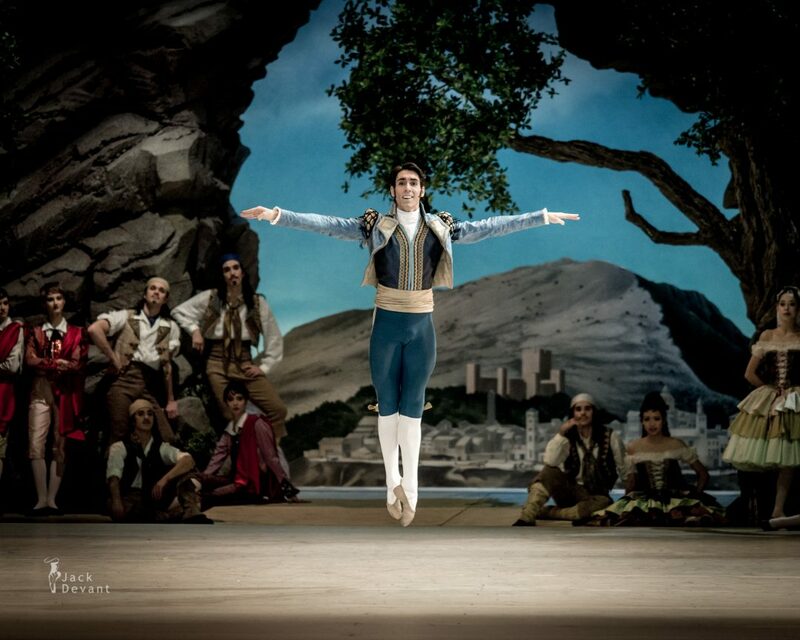 With the beginning of the season 2014/2015, Javier Amo was promoted to Principal Dancer. Paquita Pas de trois — In 1847, Paquita was staged for the first time in Russia for the Imperial Ballet of St. Petersburg by Marius Petipa and Pierre-Frédéric Malavergne, being the first work ever staged by Petipa in Russia. In 1881 Petipa produced a revival of the ballet for which he added new pieces specially composed by Ludwig Minkus. This included the Pas de trois (a.k.a. the Minkus Pas de trois or Paquita Pas de trois) for the first act, and the Paquita Grand pas classique and the Mazurka des enfants (Children’s mazurka) for the last act. Petipa’s version of Paquita was retained in the repertory of the Mariinsky Theatre until 1926.